Enhance your lips for a natural pout! 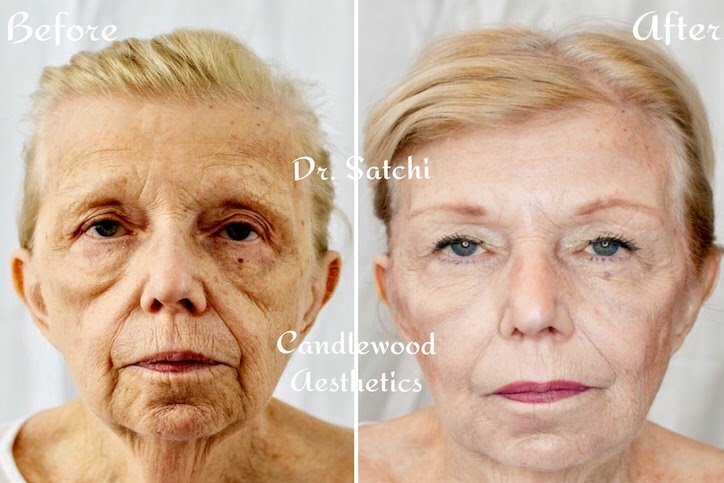 Dr. Satchi M.D., FACOG, MRCOG (Great Britain) is not just on Connecticut Magazine's list of "Top Docs" as a renowned women's health surgeon but has also been called "Connecticut's Best Kept Beauty Secret" for producing natural, stunning results that are subtle but remarkable. His artistry and perfectionism yield him clients from across the northeast. He is a Master Injector with Allergan and has trained extensively with prominent international plastic and cosmetic surgeons. Dr. Satchi and his welcoming staff will guide you on your aesthetic journey. Dr. Satchi also wants his clients to feel their very best. We offer three pain-free treatments to enhance optimal sexual health for men and women. Renew Chip is our all natural testosterone therapy to promote weight loss, boost energy, and increase libido. It’s an incredible alternative therapy for menopause. We also offer the O-Shot to increase orgasms for women and the P-Shot for erectile dysfunction in men, both of which are painless, natural, and safe. Our latest client said in tears, "Thank you Dr. Satchi. You saved my marriage." It’s Time To Start Laser Hair Removal for Summer! Refer a Friend and you'll BOTH receive $25 off services!